A goal-focused search engine optimization strategy can earn you this privilege and drive more conversions on your site. Slingshot SEO calculated that 18% of organic clicks go to the #1 position, 10% of organic clicks go to the #2 position, and 7% of organic clicks go to the #3 position. Relying on advertising to rank higher is a poor strategy to follow. 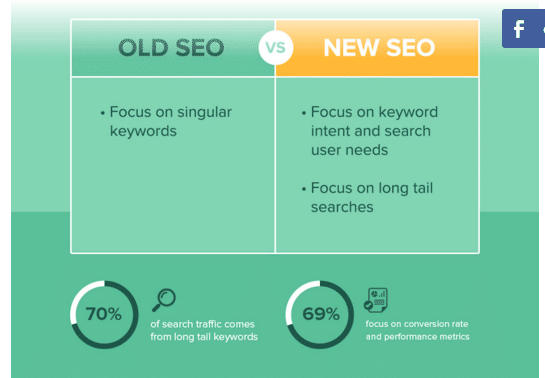 Studies suggest that successful businesses use a data-driven approach to succeed with SEO. It gives us a window to look into the world of search engine optimization and how our organic efforts can lead to more traffic on our websites. A large portion of the traffic comes from people who already know about your business and visit the site directly. Organic traffic efforts boost search value which puts the website on the top in search rankings. 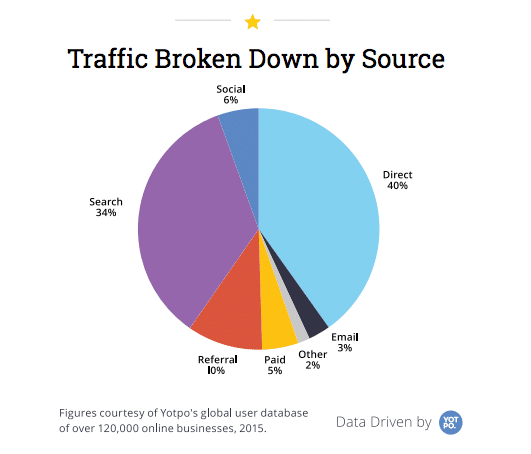 To grow your organic traffic, you must keep an eye on your current traffic levels. 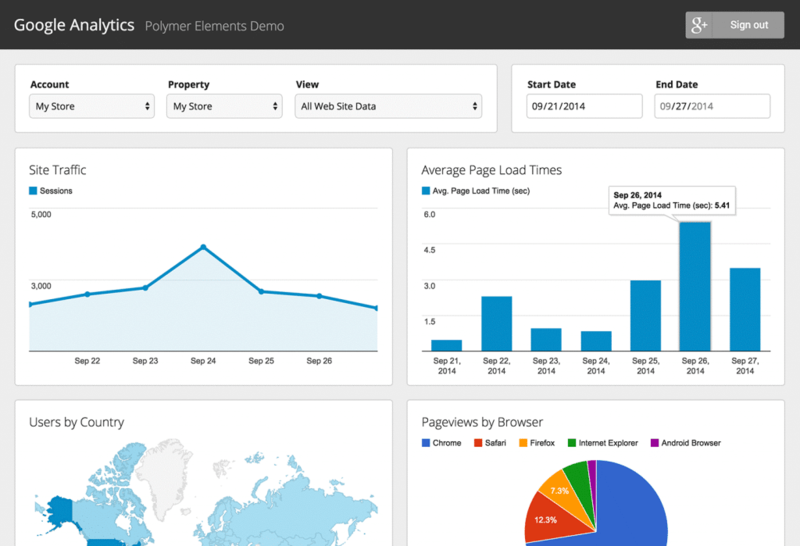 Use Google Analytics tool and integrate it into your website. The Google Analytics dashboard is very helpful in gaining key insights about your website. When testing new strategies, you need to be sure of what didn’t work and what can work in the future. Check your website traffic often. Daily monitoring is advised, but a few times every week works just as well. Alexa is another great tool to measure website rankings. It is little-known but provides the best metrics about a website. Anyone who downloads the Alexa toolbar can benefit from these features. If you have Chrome, download the Alexa extension. If you are using Firefox, use the Alexa add-on. The website php-developer.org reached top position for ‘PHP developer’ keyword in a year, simply through manual monitoring and improvisation. Like every other website, its traffic started from zero and grew exponentially. There was no advertising involved. Set your goals for the website. In this case, the owners wanted a website which was all about PHP. Buy a good domain name which is short and easy to remember. Select a platform which is already optimized for SEO. Many people choose WordPress for this very reason. Matt Cutts also recommends WordPress. However, any website can be optimized. Develop content and tools periodically. MarketingSherpa suggests that content distribution can yield a 2,000% increase in blog traffic and a 40% increase in revenue. Here are some content planning techniques. Take an on-site SEO tutorial to master the art of manual SEO. At this point, you must be thinking, ’does social media even matter?’ Before you make a decision, you should know that Neil Patel made $300K from Instagram. 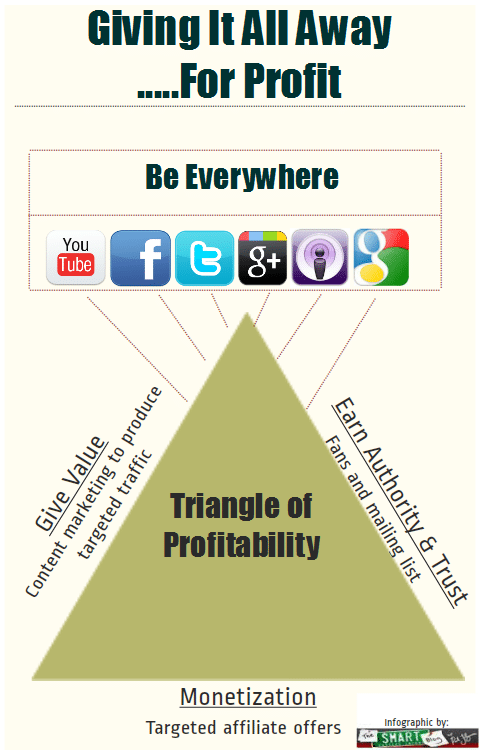 Social networking sites can be a goldmine of organic traffic for your site. Social media is very popular. People spend most of their time switching from one medium to another. When running a business, it is essential to interact with people on social media and gain their valuable feedback about your brand. Almost all companies are on social media. 88% of businesses are using the medium and 67% Americans admit getting all important news from social media. The most popular mediums are Facebook, Twitter, and LinkedIn. If you are sharing your posts on social platforms only once, you may be missing out on a lot of traffic. The internet never sleeps, and customers may be active during the hours your business profile is inactive on social media. HubSpot has calculated the ideal times to post on social platforms. Follow this schedule to post on social media at the right times. LinkedIn: Tuesday, Wednesday, Thursday 7:30-8:00 AM, 12:00 PM, 5:00-6:00 PM, Tuesdays 10:00-11:00 AM. Snapchat timings are not present on this list. 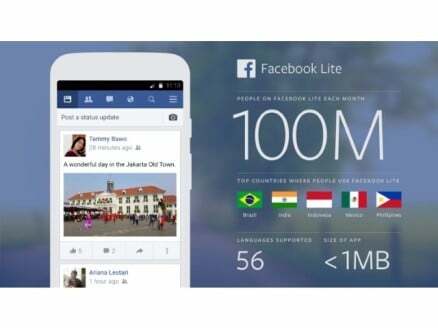 The app lets you post a story that stays visible for 12 hours. Keep posting on your Snapchat throughout the day. A company blog is extremely useful to gain more traffic to your website. It is the perfect platform to educate your audience and position yourself as a business leader in the industry. The idea is simple. You have to write articles, post tutorials and infographics about your niche. This attracts traffic and can work like free advertising for your business. Just make sure that the topics revolve around your business. Otherwise, you are going to confuse your audience. If your team does not include a writer, you can always outsource this service. Optinmonster grew their website to receive 600k+ monthly visits through their blog. They attracted more traffic through posts like 30 Content Upgrade Ideas to Grow Your Email List. The post ranked number 1 in Google search results because of its content. The focus was on creating an article that answered all users’ questions in one attempt. Start by adding more images to your blog posts. Every business can’t benefit from this tactic, but if you work in a customer-focused niche, you will be more successful. Use simple software like MS Paint or Picasa to put text on a photo. Todd Tresidder noticed that the traffic on his website was decreasing. He deleted one-third of content from his website. The results were shocking. He noticed a spike in website traffic! Todd suggests developing a niche (your business) and developing content for it in the form of high-quality blog posts, podcasts, and videos. Great content will inevitably drive more traffic to your pages. Then you can monetize this chunk of traffic with the best available tools to satisfy their needs. They will buy from you immediately because you helped them make a decision. Ebooks that are created to look at customer challenges in-depth. Amazon ebooks and pages are part of Todd’s ‘giving it all away’ strategy. You need to give something for free to gain their trust in your business. 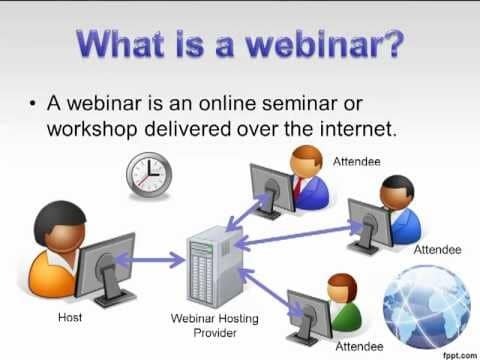 Webinars: Webinars are a good place to showcase your professional expertise and get loyal followers for your brand. 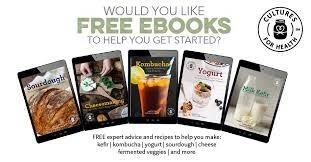 It can be a follow-up on the ebook or a session to reply to user comments. White papers: These are specialized content pieces on topics that revolve around your business. Many website owners also place email submission forms on their websites so they can collect email ids of people who want to receive future updates from the business. When you are running a website for months and years, a lot of content is bound to get redundant. You may face problems like broken links and 404 error pages on older parts of your website – and these are traffic killers. Conduct a content audit to solve this issue. Go to your website archives and make a list of every topic on a spreadsheet. Keep the content you like, improve the content which isn’t as good, and consolidate content which is duplicated or can be conveyed better via a single post. Place all bits of content in separate sections on your website. Check the SEO for every article. Check affiliate links and make sure all internal links are working. Add 301 redirects if a link is broken or an article is not present anymore. Delete the bits that are irrelevant or not working. Just remove them from your site altogether because they are harming your site anyway. Auditing content is not easy. It requires hours of work, but the effort is worth it. Don’t ignore older pages of your website. Every page should be highly functional. Placing links from within the site on your pages increases session times. Many popular websites follow this tip. You can place links to related articles and other content pieces to direct visitors further into your site. You can also link to your blog, shop, software features, etc. The Guardian and Mail Online are reputed publications with a strong online presence. 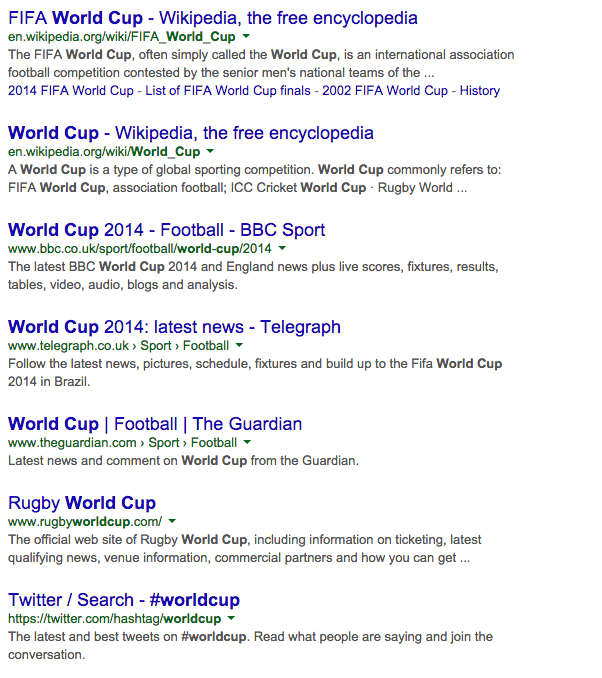 In the FIFA World Cup, both websites tried to rank higher for the term ‘World Cup.’ Mail Online failed to rank higher because they didn’t link back to their large collection of World Cup-related articles. Google didn’t know how to deem the website more credible for the term because there was no synchronization. Google did see a lot of pages from Mail Online, but none were leading back to the hub page. Guardian, on the other hand, made it to the first page for ‘World Cup’ with an internal linking strategy. Content: create more relevant and related content which can be linked back and forth. Anchor text: maintain and insert the right amount of anchor text. It is up to you to decide how to creatively put a link at the right place in a post. Don’t add irrelevant links: only include links that add value to your overall content. The linking shouldn’t seem forced. Add up to 10 links (if the articles are longer) but not more than that because Google does not like pages with link stuffing. If you are still unsure about the internal linking best practices, here Google’s Matt Cutts is shedding some light on the subject. When trying to rank your website with organic efforts, persistence is the key. SEO can’t earn you top rankings overnight. If an SEO ‘expert’ suggests this to you, don’t hire them. The organic ranking process requires hard work and patience. With the simple techniques mentioned in this article, you will see a jump in your traffic very soon. However, the journey doesn’t stop there. 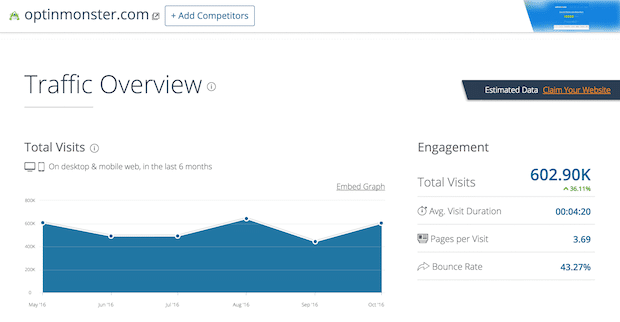 Once you gain a ranking, you need to keep improving your stats and monitoring your traffic.